It’s not char-grilled, it’s CAR-grilled! 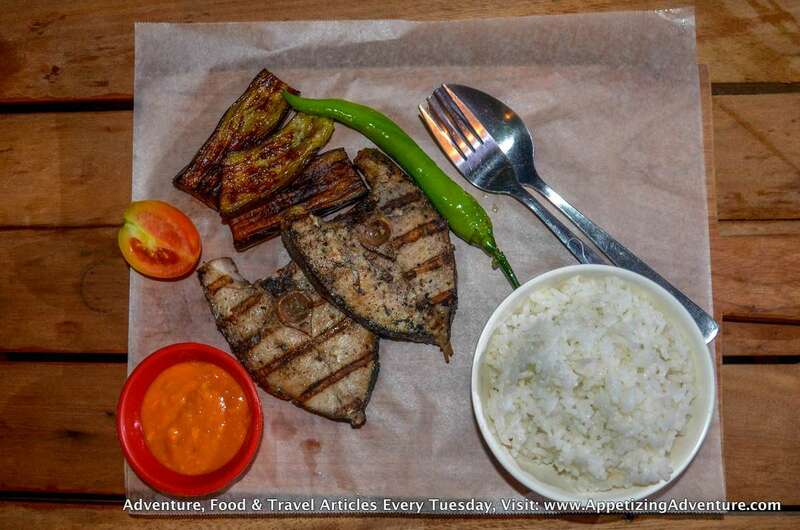 That’s how they grill at Baler Surfer Grill. 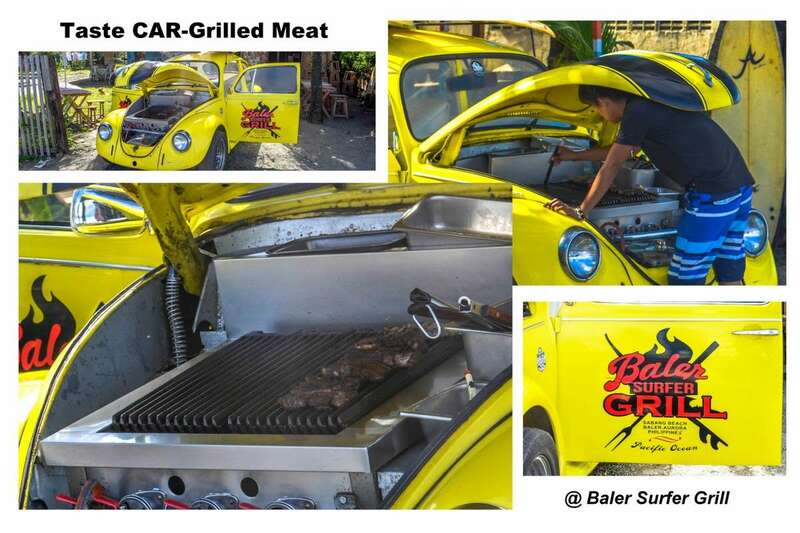 Don’t be surprised if you happen to walk along Baler’s Sabang Beach Baywalk and see meat grilled on a car. 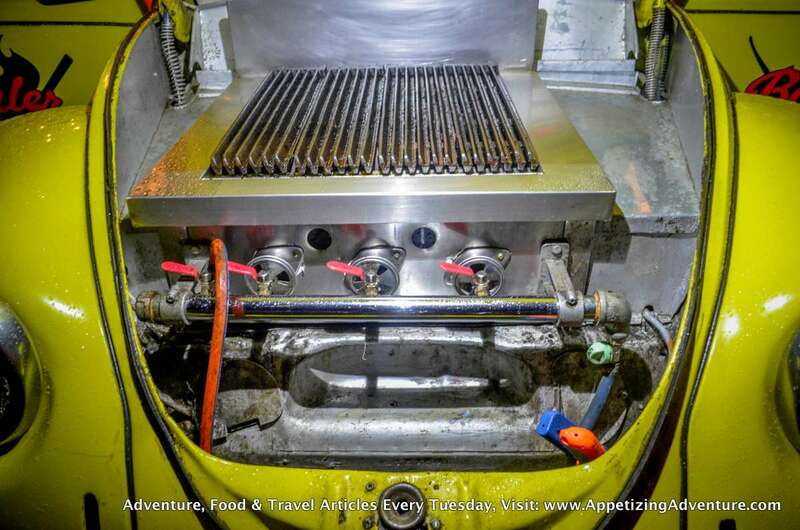 At first glance, one might imagine the food cooked on an overheated engine because there’s smoke. 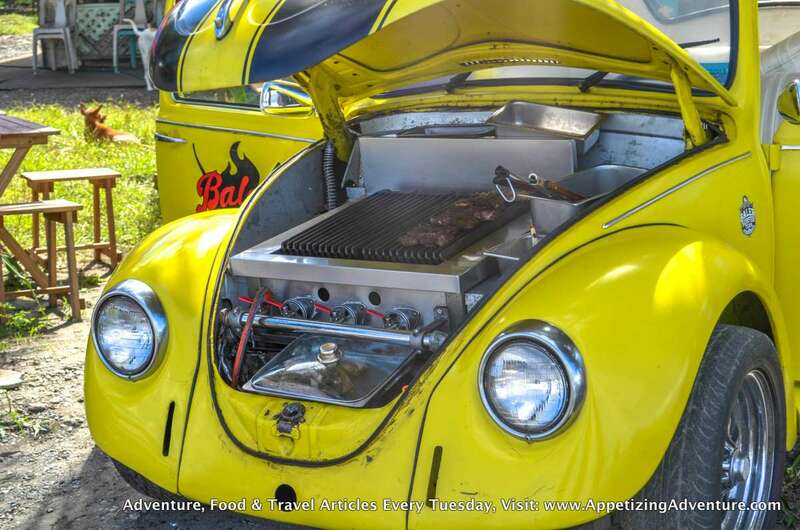 But it’s actually a safe customized gas grill doing all the cooking, and the car’s engine is at the back of Bumble-Grill, the name of the Volkswagen Beetle. The Beetle is a two-door, German designed car with its engine located at the vehicle’s rear. That’s why you can load your stuff, even your gas grill, in front. Yes, you even your gas grill! The concept of grilling on the car began many years ago. 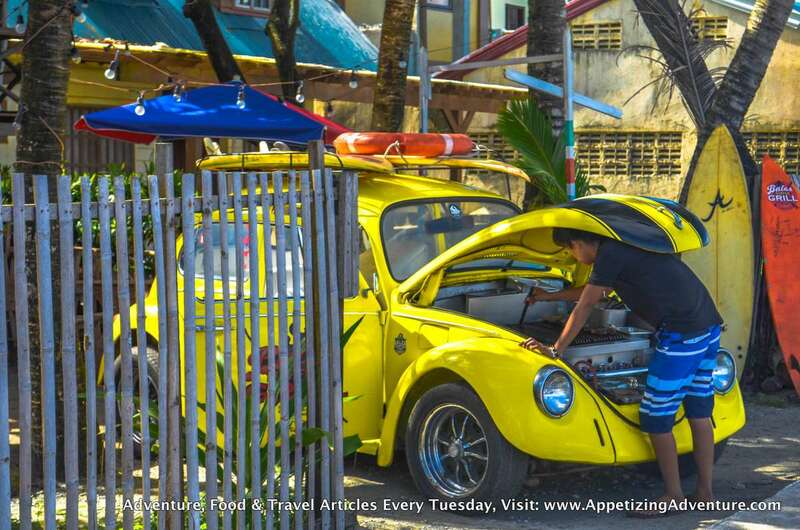 The late Lazaro “Zaro” Urfano, who was one of Baler’s first mechanics, encountered a car problem and after seeing so much smoke coming out, he said the engine’s hot enough to cook with. So when did this concept take off? It was April 2013 when this idea became a reality. Baler Surfer Grill opened. 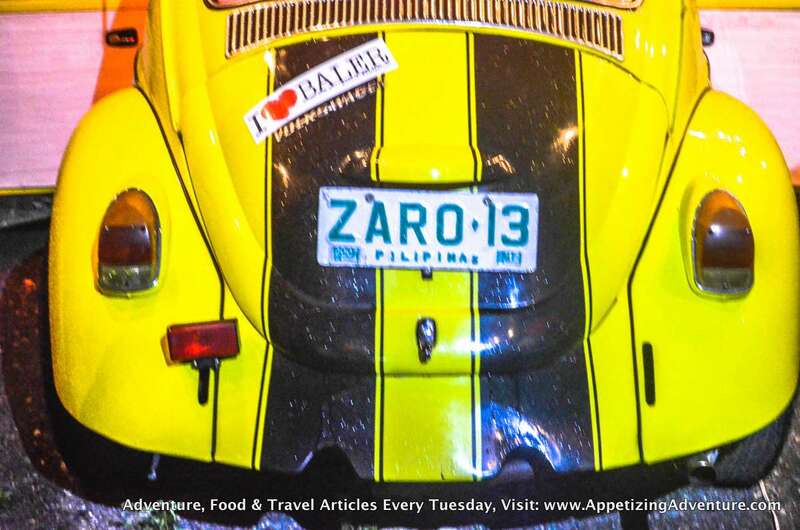 Zaro’s concept remains alive as his children and grandchildren grill on Bumble-Grill, and the special plate on the car, “Zaro,” immortalizes their memory of him. Today, it’s not just Zaro’s concept that’s a hit, but also, the delightfully delicious dishes they prepare. They serve the best Bulalo BBQ! In fact, it’s the only Bulalo BBQ I’ve tasted. It’s something you should try because, as of this writing, they’re the only ones who serve this. After devouring it, I’m sure many will try to create their own version. It’s that good! 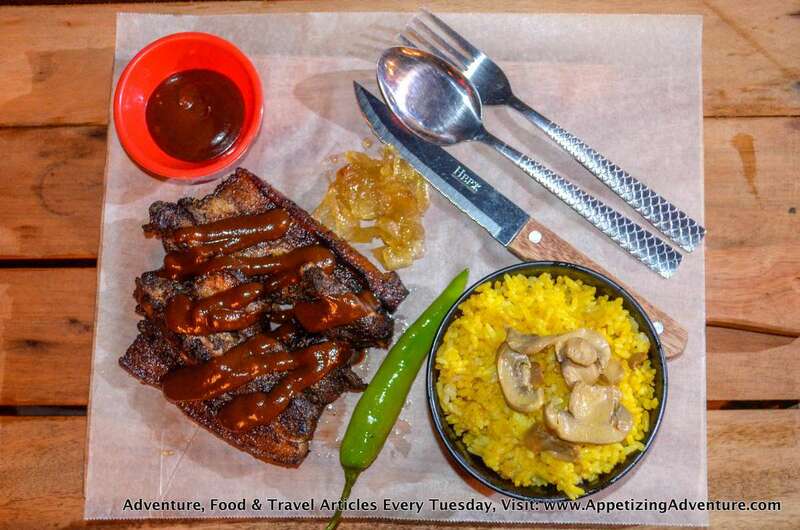 We all know what BBQ is, but for those curious about Bulalo BBQ, here’s what you should know. Bulalo is a Filipino beef soup. Beef shanks and bone marrow are cooked overtime until tender with the tasty beef fat melting into the broth. 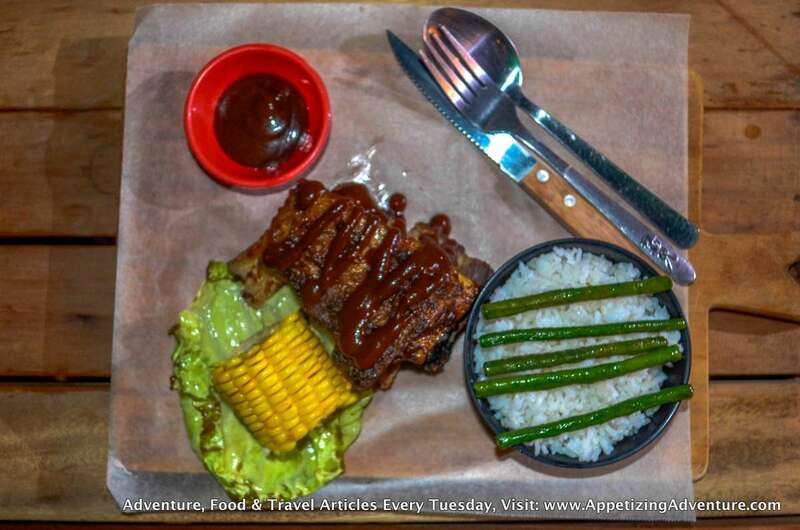 At Baler Surfer Grill, after the beef has cooked in the bulalo, they cook this again with their homemade barbecue mix on the gas grill. 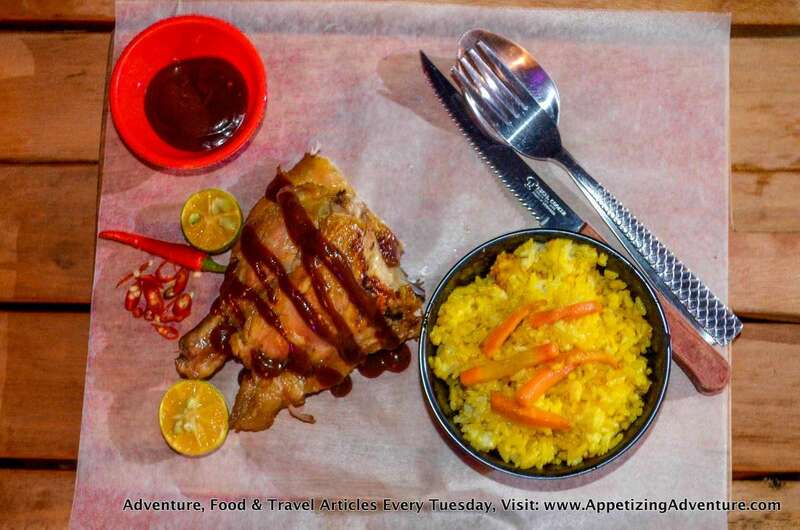 They brand their meals as “Lutong Akkaw” which roughly translates to cooked amazingly or cooked dish that tastes amazing. 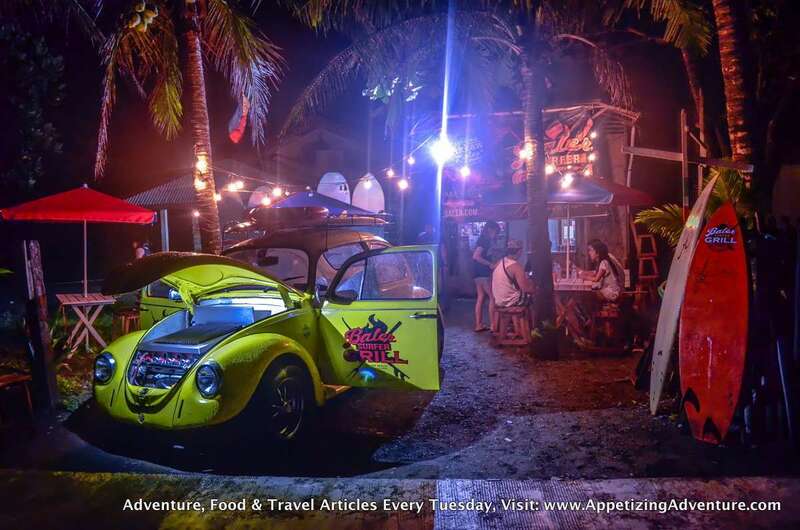 “Luto” is a Filipino word that means “to cook” and “akkaw” is a local expression in Baler spoken to express extreme delight or surprise. 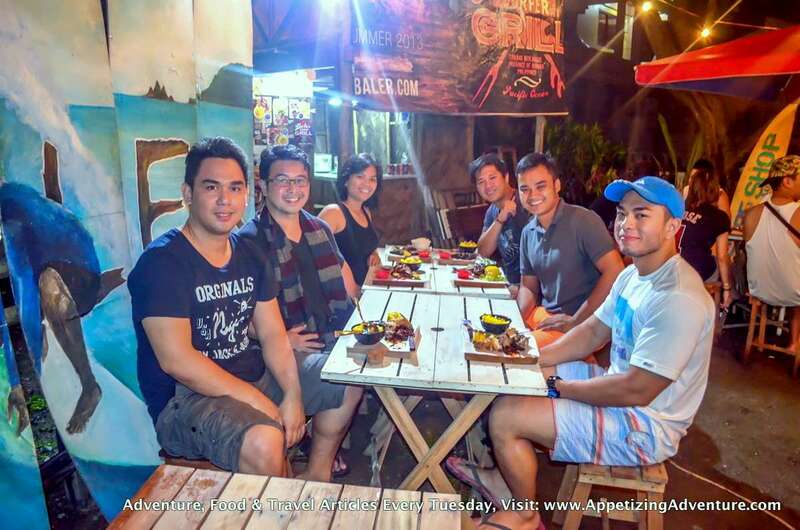 To add to that “Lutong Akkaw,” and give guests a feel of the provincial life is their rustic and tropical ambiance. 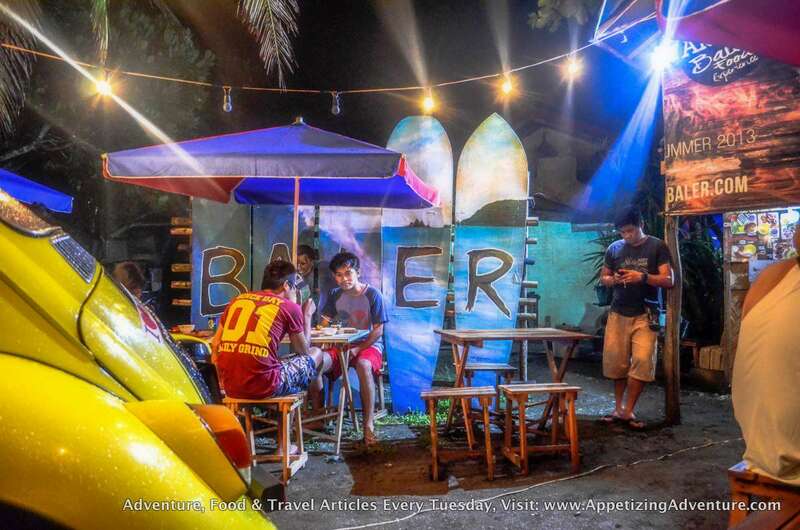 Right in front of Baler Surfer Grill is Sabang Beach where you’ll find a lot of locals and tourists surfing, thus the tropical feel. There are coconut trees and light bulbs hanging on top of us during our meal. They say this was how the old Baler looked like during special events like town dances. In the open area, light bulbs are tied on wires or ropes above to illuminate the event at night. When you look up, you’ll see a multitude of stars. Ahhh, the provincial life. 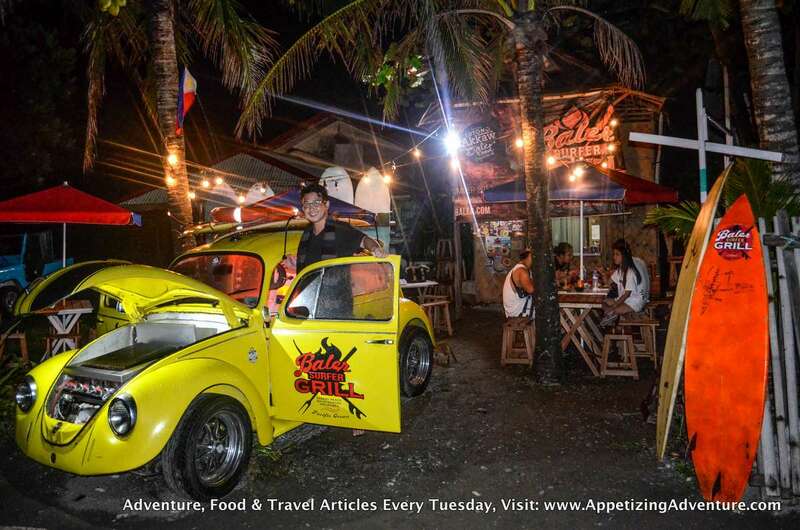 Baler Surfer Grill is a must, for you to experience a gastronomical adventure in Baler. However, it’s best that you contact them first to know if they’re open. They usually operate only on weekends. They close when it’s rainy or when they have special events. 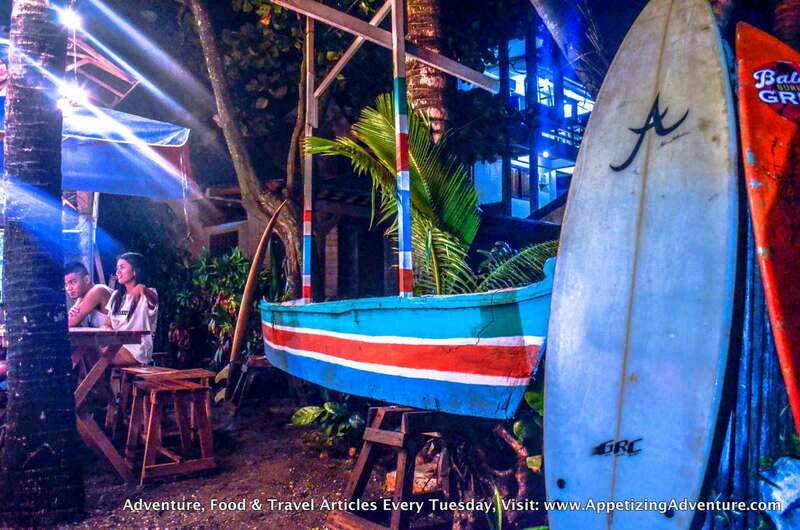 For more pictures, click Baler Surfer Grill photos.